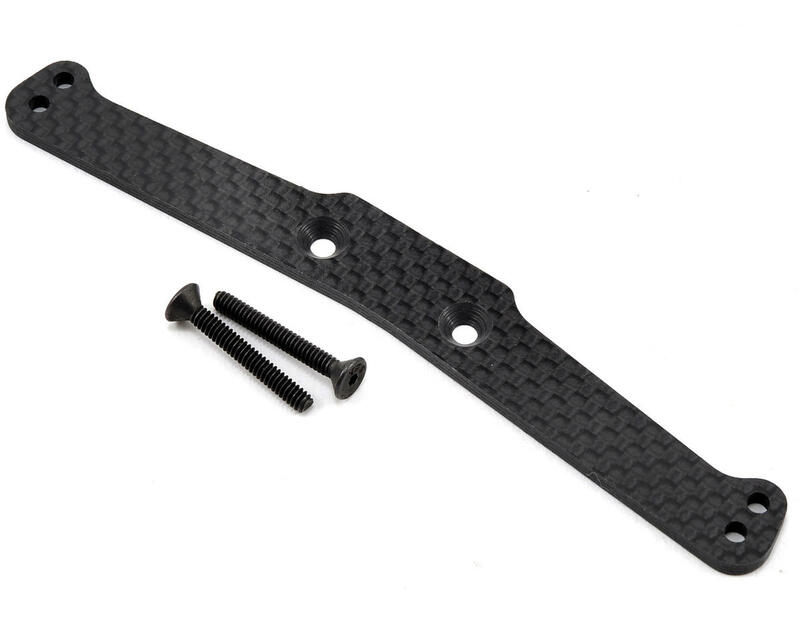 This is an optional JConcepts Rear Body Mount Brace, and is intended for use with the Team Associated SC10 2wd short course truck. Short Course trucks are very body sensitive. The proper body style, cut-outs, overall weight and roll characteristics can adversely affect the way the truck handles. The SC10 has a very flexible rear body mount which provides several durability advantages but when it comes to performance, having a sturdy base to the body is critical. 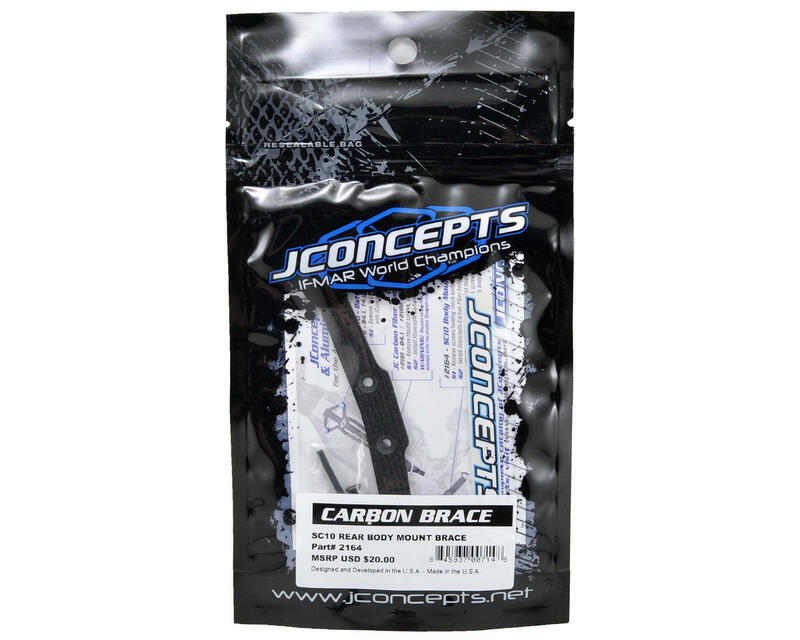 JConcepts rear SC10 body mount brace performs just as the description suggests and supports the body mount in high-force situations. While in the turns, the weight of the body hangs down in the rear and allows the body to flex toward the tires which causes unwanted handling and aero changes that help to contribute to an ill handling vehicle. Simply install the brace as instructed and the body will now remain in a more standardized position in high-bite conditions and during hard corning. Love this brace! It has done nothing but improve my handling! A must have. This brace is a must for racing. Takes away body roll, makes for smoother and more percise handling.